Say hi to Maria Turtschaninoff, the latest author in my series of writing interviews. I’ve been a fan of Maria’s blog (in Swedish) for a while now, where she writes about her writing process, her life and things happening in the world of genre fiction. 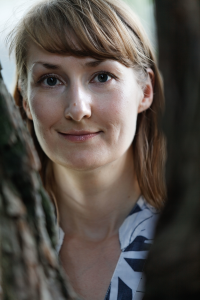 Maria is a Finnish-Swedish fantasy author with four books under her belt. I finished her latest novel, Anaché, a couple of months ago and was blown away by the detailed and carefully crafted world. It left me hungry for more and I was happy to hear Maria is now working on another novel set in the same world as Anaché. But more about that in the interview. I collect ideas. I carry a notebook everywhere I go and jot down ideas and text snippets all the time. 80% of what’s in there never gets used. But a few things start germinating in my head, they evolve and grow as I let time pass, and after a while I start seeing patterns: this idea should actually be paired with this idea, and this third one belongs to the same story, too. For me learning to be open to ideas and cultivating my creativity was a long, hard path. But now the problem is the opposite: I have too many ideas. They fight for my attention and compete at who can scream the loudest. It’s quite crowded in my head at times. What happens when you have an idea you want to start working on? I start writing it. It really is that simple. I have to write for a bit before I start seeing the shape of the story, what tone it might need, even what characters will come into play. ARRA, for instance, started with the idea of a mute girl and so I wrote about her. Slowly I begun seeing where she was, what the milieu was like, and the setting for all of my secondary world fantasy was born. Then, when I have done a bit of writing and learned more about my story, I start planning. But I don’t outline a lot, and I keep planning as I write. That varies from book to book. For the first one, a MG portal fantasy, I did virtually no research. For the second one, ARRA, there was a bit of research on weaving and old-fashioned houses, but that came after I had written my first draft. In the third novel, UNDERFORS, a contemporary urban fantasy, I had to do quite a bit of research: locations, bus timetables, geography and flora and fauna in certain places etc. I also learned a lot about parkour. Some of this research was done prior to writing, most of it after the first draft. For ANACHÉ, set in the same secondary fantasy world as ARRA, I researched nomadic peoples before I began creating my own nomadic culture. There the research was immensely important to my world building. First of all it was very important to be able to create a culture that would feel real to the readers, so I needed to know quite a bit about similar cultures. But secondly, and maybe most importantly, the real world offers more magical and strange things than I could ever dream up. Your latest book, Anaché, focused on a nomadic society in a slightly magical world. Where did the inspiration come from? The original spark for that novel came from a scene I saw in my head: a man cutting a girl’s hair. I had no idea what it meant, or who these people were, but I knew it was a very significant scene. After pondering it for quite a while I started realizing that they were Akkade, a nomadic people briefly mentioned in ARRA. 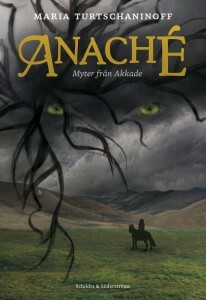 The world in ANACHÉ is not especially outlandish, in terms of fantasy. I write what I would like to characterize as low-key, psychological fantasy. But I spent a lot of time making the world feel real, so as to seduce my readers into believing in the fantastical elements as well. What do you think about trends in genre fiction and how do they impact on your work? Well, right now fairy-tale fantasy seems very big, but it’s probably reached or passed its peak. It’s always impossible to predict future trends so I don’t really think about trends when writing – except to the extent that I try to steer clear of what’s currently “hot”, as it no longer will be when the book comes out. And I don’t want to do what everybody else is doing. At the moment I am on a well-deserved break from writing. I’ve written three manuscripts in a year and a half, and I need to charge my creative batteries over summer. I did, however, just get a manuscript accepted by my publisher Schildts&Söderströms, and we are tentatively talking about publication in the fall of 2014. It’s another secondary world fantasy, set in the universe of ARRA and ANACHÉ, but in a new location, with new characters. It’s my first first-person narrated story and I am very smitten by the main character’s voice. Check out more writing interviews. I first came across Helena Halme about a year ago. I’d been trying to find Nordic bloggers in London and stumbled across her blog Helena’s London Life after some random googling. I was instantly impressed by Helena’s ability to multi-task, not only was she blogging, she’d also written and self-published a novel and was working as an accountant. Helena is doing really well in the tricky (and exciting) new field of self-epublishing and I thought I’d send her a couple of questions about how she’s done it. 1. Could you tell me a bit about how you started writing? How did you come up with the idea for the Englishman? I can’t really remember a time when I didn’t write. Growing up in Finland I wrote a diary on and off, and then when I moved to the UK at the age of 23, I started to keep one in earnest. I wrote in both Finnish and English. A bit like the character in Doris Lessing’s Golden Notebook, I documented the life of two personalities, the Finnish Helena and the young, inexperienced English naval wife. My first job in the UK was as translator for the BBC, and it was during his period that I noticed I could write original stories. But life gets in the way, and it took many more years for me to realise that I wanted to become a writer. In 2004, after 20 years in the UK, I enrolled on a MA in Creative Writing at Bath Spa University. Since then I’ve written three novels and haven’t really looked back. I started writing The Englishman as a series of posts on my blog, Helena’s London Life. It was supposed to be a series of two or three posts titled, ‘How I Came to Be in England’, but by the time I was on post 25, I realised I was writing a novel. The posts became so popular I decided to turn them into a fictionalised story of how I met my naval officer husband and moved to the UK. 2. Why did you chose to self-publish? Over the years I’ve approached a few literary agents, and have worked on a couple of novels with one agent. In the end nothing came out of the relationship and so with the emergence of the e-book, I decided to take the plunge. I had the three books professionally edited, employed an experienced cover designer and pressed ‘publish’. 3. How do you feel about that decision now? I could not be happier about publishing my novels as e-books. To be able to share my work and get positive feedback from people I’ve never met makes me giddy with happiness. Everyone tells you that as an independent writer you are lonely, but I haven’t found this to be true. There is a wonderful community of Indy writers, and now we even have our own organisation, Alliance of Independent Authors! There is a closed Facebook page purely for discussions on the fast changing face of e-publishing, monthly meetings and a support network, something which I could not have done without. 4. What would you say the most important things are to keep in mind when it comes to self-publishing? The most important thing to keep in mind when you self-publish is your motive. Why are you doing it? If want to make huge amounts of money, train as a lawyer or an accountant instead. Writers, whether published independently or traditionally, will never be rich unless they are very, very lucky. But, you can make a living out of your words if you are prepared to put in the work. 5. How do you think the publishing industry is changing? What does this mean for authors? The biggest change in the publishing industry over the last few years is undoubtedly the emergence of the e-book. Some 15% of books sold today are in electronic form and this figure is growing, while the sales of traditional books are declining. This change has also brought about the increase in Indy writers/publishers, which in turn has increased the power of writers in the book production chain. There are now some traditionally published writers who are turning Indy and publishing their own e-books. There’s also a new category of ‘hybrid’ writer. These are self-published authors who have often sold tens or even hundreds of thousands of e-books, and when approached by the established publishers, retain the right to their e-books while signing a deal for printing the paper versions. The simple reason for all this is, that a writer keeps a much larger part of the royalties of self-published e-books, than they do in a traditional publishing deal. 6. You’ve published two more books after The Englishman, what’s next? I’m writing a new novel which will be a sequel to The Red King of Helsinki, my spy thriller. It’s set in London and Helsinki in the mid-eighties. 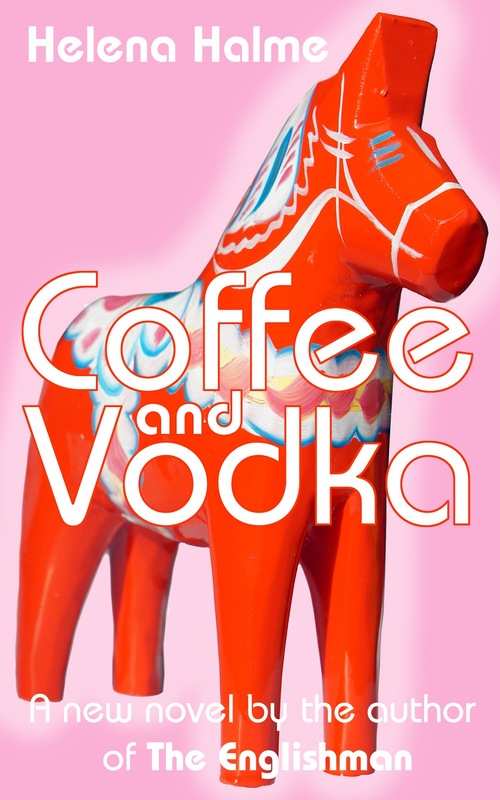 I am also pursuing a Finnish publisher for my novel about a Finnish immigrant family in Sweden in 1970’s, Coffee and Vodka. I think this book would suit the Nordic market perfectly, so watch this space! 7. What advice would you give to authors who are trying to get published? Write a good book, employ professionals to help you to edit and make the cover design to format it if you need to, and be prepared to market it. Make sure you have a good description of your book on Amazon or wherever you want to publish your book, and use your meta tags and SEO’s wisely. It’s best if you don’t already have one that you establish an online presence, which could be an author website, or a blog. Then write another good book, and another, and again and again, and you will make a living. Eventually. You can find out more about Helena’s books on Amazon, The Englishman, Coffee and Vodka, The Red King of Helsinki. A couple of months ago I met fellow Finn and writer Emmi Itäranta at an Urban Writers’ retreat in London. Emmi told me about her latest book The Memory of Water (Teemestarin kirja), which she’d written in Finnish and English. As someone writing and working in both English and Swedish it made me curious and I wanted to find out a bit more about Emmmi’s working process, so I did what came naturally and sent her a couple of questions. Without further ado, here are Emmi’s answers. 1. How did you come up with the idea for The Memory of Water? I was interested in Zen Buddhism and the Japanese Way of Tea (chado). At the same time, I was reading a lot about climate change and its effect on the availability of fresh water. One day I came up with the image of a young girl preparing tea in an old, ritualistic manner in a future world where drinking water had become a scarce and expensive resource. This image contained the essence of the story: the main character, the imaginary world, the fight for survival. I wrote down a few fragments which then began to grow into a novel. 2. Could you talk a bit about the writing process, how did you start working on the book, did you do any research? Five years ago, I was doing an MA in Creative Writing at the University of Kent. I had to submit work for class, so I wrote maybe three pages which later became the opening of Memory of Water. At the time I thought I was writing a short story, but my teacher Patricia Debney said, “This is a novel.” It took me a long time to believe that! I love world-building and it was important for me to make the imaginary future setting credible and consistent, so I did quite a lot of research. The main focus was on the impacts of global warming, and I spent a lot of time thinking about the consequences of such things as sea level rise, water shortages and absence of fossil fuels. What crops would survive in a very dry climate? What would technology be like if there was no oil? How would winters be in Lapland if snow no longer existed? And most importantly, how would a military regime use access to fresh water, something absolutely essential to all life, to control people? I also researched Asian tea cultures, particularly Japanese and Chinese practices associated with tea-drinking. The tea ceremony portrayed in the book is fictional and combines influences from several cultures, because I wanted to emphasise the fact that the world of Memory of Water is different from our reality. 3. Why did you choose to write it in two different languages? What was it like? I had to write in English initially, because I was submitting the early chapters as coursework for my university degree in the UK. However, I soon discovered that it was quite useful to get feedback from my Finnish writing group, so I ended up writing each chapter in parallel in English and Finnish. It’s a slow process, but I find that the result is better, more polished, than when I’m only writing in one language. It’s a way of forcing myself to be very thorough and it helps me put some distance between myself and the text. 4. What was it like trying to get the book published? The book was rejected by a dozen or so agents in the UK and several publishers in Finland before it got a publishing contract through winning a sci-fi and fantasy writing contest organised by the Finnish publishing house Teos. I finished the first full draft in August 2010, and got the phone call about the win in July 2011. In hindsight, it was a relatively quick process — after all, it can take years to find a publisher — but at the time it seemed to take forever. Eleven months is a long time to have doubts about your work and wonder if anyone will ever like it enough to take the risk of investing in it. 5. What did you think when you got a publisher and heard it was going to be published in English as well? It was a dream come true. I had worked on Memory of Water very hard for years and lived with the uncertainty of not knowing if the effort would be worth it. I had hopes, like any writer has, but I never expected to win the contest, and I never expected to get a two-book deal with a major international publisher. It all still feels somewhat unreal. There is some pressure that comes with it, of course, but the best antidote to that is to keep focussed on writing the next book. I’m lucky because my job is to plunge into another world and forget about other things while I’m there! 6. What advice would you give to someone trying to break through as a writer/speculative fiction writer? Write every day. Read a lot. Find at least one reader whose opinion you can trust. Listen to feedback and learn from it what you can, but never lose sight of what you are trying to do. Get to know the craft of writing. Be patient. The only good reason to write is because you love it; any external rewards are so uncertain that your motivation will probably not last if it’s based on them. Don’t give up, unless you know you’d rather do something else with your life — then it’s perfectly okay to give up! The Memory of Water is out in Finnish and will be published in the UK, US and Australia in 2014 by HarperCollins Voyager. The photo of Emmi was taken by Heini Lehväslaiho.